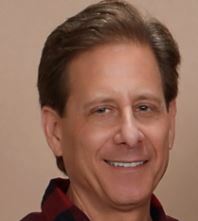 Dan Chinitz established Creative Bath Sales in 2002. Previously, he owned a Plumbing Supply and Decorative Showroom in NJ for over 15 years and, prior to that, he worked in the advertising industry in New York City. Dan is a Graduate of Northwestern University, Evanston, IL. After selling his businesses, Dan hit the road to deliver over 100 selling seminars for several major manufacturers in the decorative plumbing industry. This led to an easy transition to the Independent Manufacturers Representative side. By using his knowledge of the industry, including having built a high-end showroom from the ground up, and his ability to effectively communicate with showroom personnel in bath and kitchen showrooms, Dan continues to build the rep agency on the foundation of hard work, integrity and continuing education. Dan has been published in Kitchen & Bath Design News, Supply House Times, DPHA Newsleak and other industry periodicals. Some of these articles are available to read on this website. Dan continues to manage our Metro NY and Southwest offices as well as traveling in all the Creative Bath Sales territories.